Ok, demon might be harsh. But not right now on a Sunday morning, after spending all night awake. I would previously gloat about Evies sleeping, she might wake once for a feed between 7pm and 7am, but this last week she has been up almost every hour – whether for another bottle, or just a dummy, or just to crack it really. My new Oricom monitor has a SUPER light on the front of it that I currently have a bandaid and two bibs over to try and dull. I’m either a complete idiot (and it does turn off), or this light they market as a ‘nice night light’ is like having a laser beam at your head and is keeping her awake. It does co inside. She has been invaded by demon non sleeping aliens. This is the most likely cause. 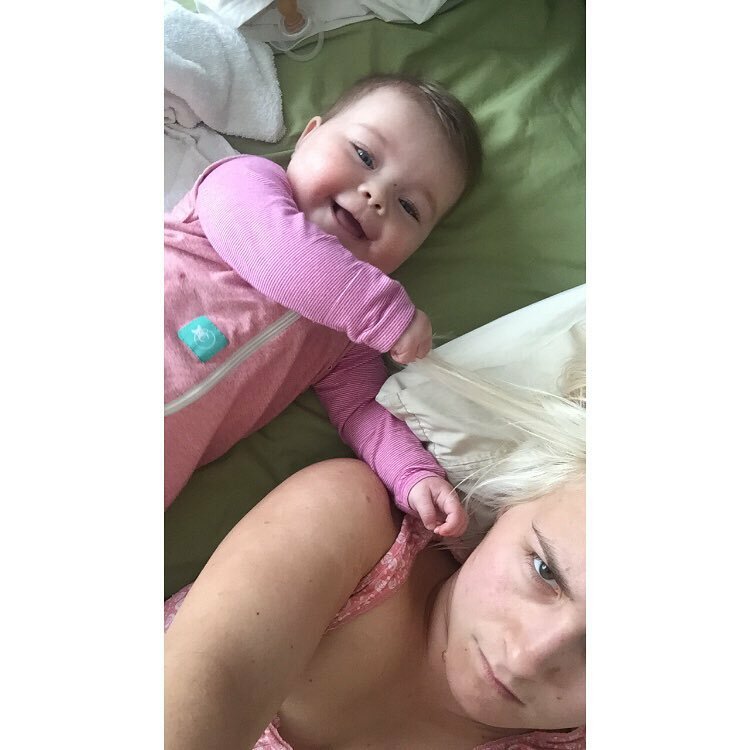 She’s also been unceremoniously been forced to go ‘arms out’ when we discovered that she is rolling like a champ one night and was found like a slug on her stomach with her arms pinned in her swaddle. So I have brought a thickener for her milk (which is supposed to stop her spewing but I’m hoping might keep her fuller to), and I’m changing back to the old monitor with no blinding light. Apart from that, if you have any tips (or a good exorcist), do get in touch! I’ll be in the corner half sleeping with an espresso martini in hand.